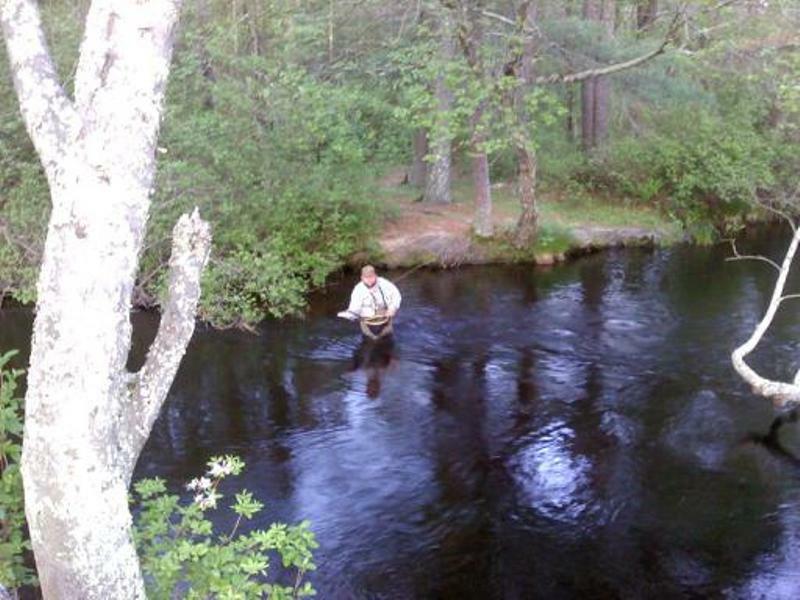 Not long ago, sea-run brook trout were written off as a lost fishery from a bygone era. They had been lost to deforestation, pollution and dams. 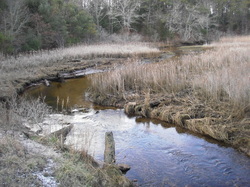 However, today due to the generosity of the Lyman family, who entrusted their 638 acres along Red Brook to Trout Unlimited, the The Trustees of Reservations, the Massachusetts Division of Fisheries and Wildlife, and thanks to the hard work and donations of hundreds of volunteers and supporters, sea-run brook trout, and brook trout as a whole, have a much better chance of survival throughout their range. The monthly work parties are on hold until we have a clearer picture of the funding for the restoration of the Headwaters of Red Brook. We will be announcing the new work parties and location in 2015. 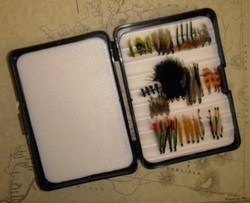 Free Introduction Fly Tying Classes SE MA TU will have 4 evenings of the basics of fly tying. Learn to tie flies in a relaxed atmosphere, this course is designed for the beginner fly tier although experienced tiers will benefit from the class as well. 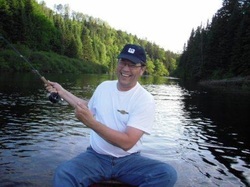 Instructors will teach everything to get you started in fly tying, all tools and materials are provided for each class. If you have your own tools and would like to bring them feel free to do so. You will be taught the basics of fly tying as well as instruction in tying several patterns of both fresh and saltwater flies. What better way to spend a few evenings learning fly tying. Previous students welcome. to join us on the trips. 355 Plymouth St, East Bridgewater, MA 02333. Congrats to Charlie Fortier for his win at our Opening Day Contest! His three rainbows had the heft to put him on top, and he took home a $50.00 Bass Pro Shops Gift Card. Next year let’s get more anglers out to give him a run for the money! And the privilege to be Chef at next years event.